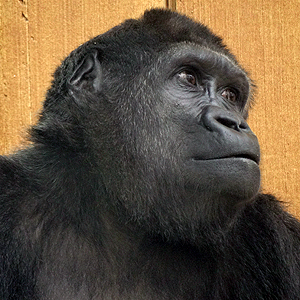 Kumba died on 8 January 2016 at the age of 42. The last few months of his life, he lost his appetite and he was very 'apathetic'. He became a shadow of his former self (this photo is from 2013). The decision was made to euthanize him. Victoria died on 21 May 2016 at the age of 47. Her health went downhill (eating and moving was difficult). 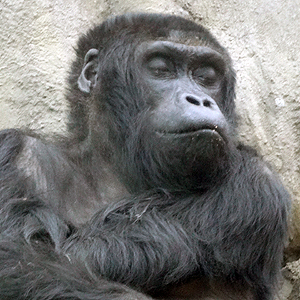 Wit her passing, there's only one eastern lowland gorilla left in a zoo worldwide. Kiki suddenly died on 13 July 2016 at the age of 9 :-( It was one of the saddest days in a zoo of my life; I was there that day .... The first results of the autopsy (15 July) are that there was blood in her lungs. Her liver and kidneys didn't look good either. They have to do further research what was the cause of that.